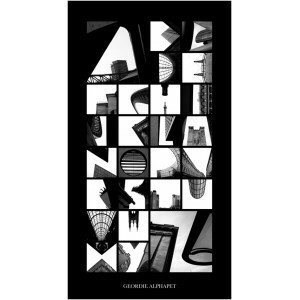 Exclusive to Balmans, Peter Defty's monochromatic, witty giclee print ‘The Geordie Alphapet’, features the alphabet spelled out of the sky shapes around 26 Tyneside landmarks, from unique perspectives. Peter Defty is a highly successful commercial photographer and, due to his Geordie roots, quite passionate about Tyneside. 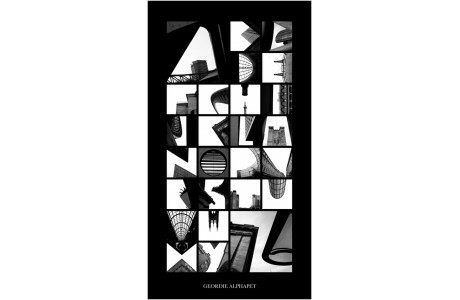 He has been gathering architectural photographs of Geordie landmarks in the shapes of letters for some years now, in preparation for this piece. This fabulous poster features beloved landmarks, including the Tyne Bridge, St James' Park, the Monument, Angel of the North and Millenium Bridge. It is a perfect gift for a proud Geordie or ex-pat. Now based near Leeds, and with 17 years experience in the commercial photographic industry, Peter Defty’s work has been bought by corporate and private clients worldwide.